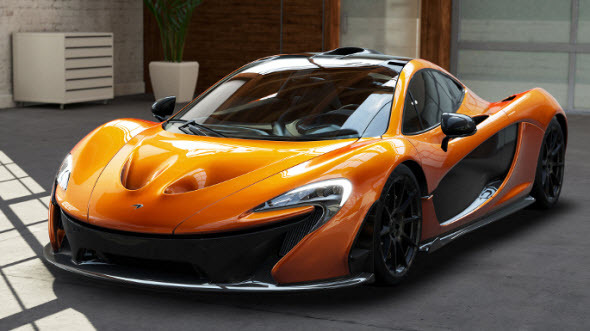 Will Forza Motorsport 5 game get a lot of add-ons? If you're a fan of the racing simulator Forza 5, then today is your day, because you will like for sure the news that we are going to tell you about this project. Yesterday the project’s developer - Turn 10 Studio - revealed its plans about the next few add-ons for the upcoming Forza Motorsport 5 game. Thus, it became known that during the first six months after Forza Motorsport 5 launch, the developers are planning to release six DLCs for 10 cars each. You will be able to collect, to drive and to customize all these automobiles the way you’d like to. Also these cars in the Forza Motorsport 5 DLCs will be available in Forza Vista mode, that will allow you not only to learn about the car’s history and its performance statistics, but also to check out its interior, to start up and rev the engine, to change the color of paint and to tune your car. Besides the representatives of Turn 10 Studio said they would release Forza Motorsport 5 Car Pass, which would include all the 6 DLCs at a discounted price. So if you are a true fan of this game, then you should buy it. Unfortunately, the prices for these Forza Motorsport 5 DLCs or Forza Motorsport 5 Car Pass are unknown, but we hope that in the near future the game’s developers will reveal their costs. Forza Motorsport 5 game is Xbox One exclusive and it will be released simultaneously with the last one - on the 22nd of November 2013.